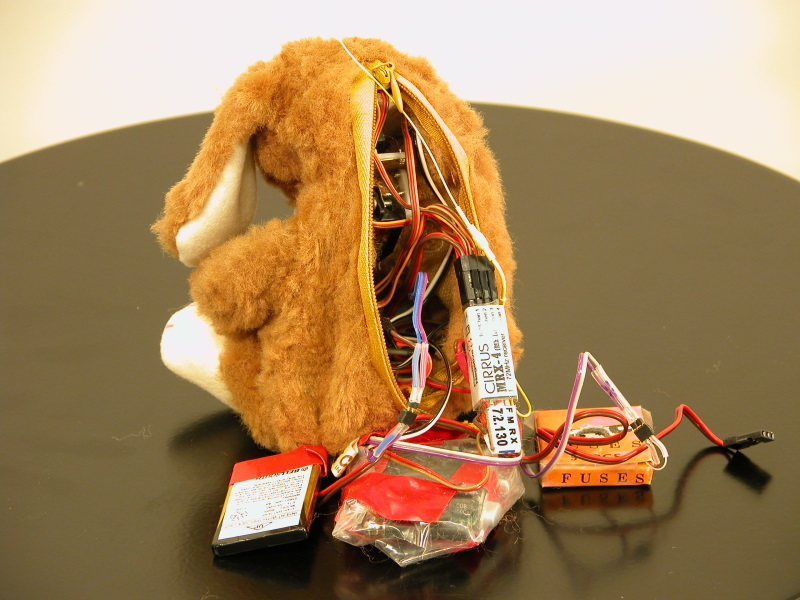 "Robo-Teddy: Today’s Stuffed Toys, Tomorrow’s Intelligent Agents by Benjamin Alfonsi. It seems that some folks move beyond the WiFi rabbit Nabaztag. This computerized plush squirell answers cell phone calls, takes messages, and alerts its owner to important calls or new voicemail. The reason for doing that is that users "react positively to embodied agents, such as stuffed toys, mainly on an emotional level". Another project described in the IEEE article is Huggable—a therapeutic interactive bear for hospitalized children which seems to be interesting (by Cynthia Breazeal). Why do I blog this? it's very interesting to see how toys and computing are now closer and closer; the teddy-bear interface is very trendy both as an input and an output.